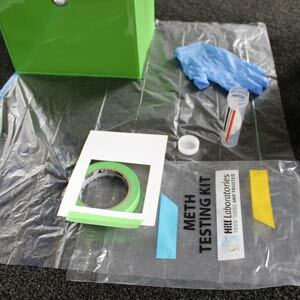 Finally the release of the eagerly anticipated New Zealand Standard NZS 8510:2017 for the Testing and Decontamination of Methamphetamine-Contaminated Properties has happened, but what does it mean and what are the main take-aways for landlords, house-hunters as well as us meth testers. Well, to be honest it’s a mixed bag. Whilst well-overdue and with good-intentions, these standards might have the opposite effect of what was intended. Section 1: Scope, objective and definitions (bit of boring guff, no meat yet). Section 2: Brief overview of the whole testing and decontamination process with a nice illustrative flow chart (Figure 1). Table 1 outlines the sampling (testing) methods to be used for each step of the process. IMPORTANT! s2.1.2: New meth contamination level set at 1.5µg/100cm². Previously used guidelines of 0.5µg/100cm² and 1.0µg/100cm² have been deprecated and are no longer used. The new default level for all meth contamination is 1.5µg/100cm². New meth contamination level created for limited-use areas of 3.8µg/100cm². This is really high and probably the most worrying part of the new standard released. Limited-use areas are places where only adults can access and are rarely used, for example roof cavities away from ducts or vents. This section is the main guts when it comes to meth testing properties. One of the main points outlined here is that meth testers have to be totally independent from decontamination contractors. This is great and something that we’ve always pushed for. It is too big a conflict of interest for decontaminators to also do testing. Screening samplers are required to have done an applicable NZQA unit standard for screening sampling. Since these new titles have just been created, this unit standard doesn’t exist yet so no one is technically qualified. Screening samplers will be qualified to carry out screening assessments only. Commonly used terms for screening tests include field test or composite tests. Accredited samplers require a higher standard of qualification and are considered competent and authorised to take samples by an AS/NZS ISO/IEC 17020 or NZS ISO/IEC 17025 accredited body. These bodies are basically the labs we use to test our samples. Most notably Analytica Labs and R J Hills Labs. 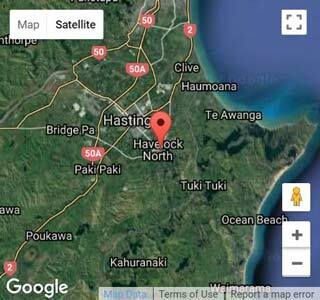 Meth Testing Hawkes Bay is a registered sampler with both of these labs. Finally the reporting for meth has been detailed in writing. We have always following these guidelines pretty closely but have seen some pretty shocking reporting from other testers in the market. Detailed descriptive scientific reporting is essential for clients and this is what they should get always. Section 4: Decontamination – This section is more good news for landlords. The requirements here are very detailed and specific which will help limit the number of ‘sugar soap’ cowboys and regular cleaners from trying to provide legitimate methamphetamine decontamination services. Decontaminators must provide a scope of work before any decontamination begins. Section 5: Post-Decontamination – A detailed sampling plan shall be provided to and approved by clients before any testing begins. As we do now, a full report shall be given to clients outlining the results of the decontamination. Key! s5.4.2. (f): for rooms with an area greater than 10m² and extra sample has to be taken. Up to one sample per extra 10m² area. Translation: one sample per room is no longer enough for large living areas or rooms. This will increase costs a lot for home owners. Section 6 summarises the reporting processes and Section 7 outlines the recommended qualifications for meth testers, decontamination contractors and laboratories. KEY! A2.2.2: the number of samples collected per tube for screening assessments is reduced from 8 to 5 from now on. This will increase costs for landlords and house-hunters who mainly request these tests. In conclusion, well it’s mostly lets wait and see. The situation is still as it was before. The new standards are still merely guidelines and not a legal requirement. A lot of the lower quality operators might not be phased by these standards and most clients certainly won’t know any different. While a lot of legitimate companies like ourselves will adopt to the new changes, this will increase our prices and may have the unintended effect of pushing customers towards the more laid-back cheaper operators. a steel container that was reportedly used as a lab.. how would one decontaminate it would water blasting do it ?? Hi Ken, sorry you’d have to ask a decontamination expert. We just do testing. However, I’d say probably not. Some sort of chemical treatment might be required if it was a lab.